Global Transformatrix® was founded by Marilyn Schirmer on her new philosophy of Transformology®. It’s our mission to set 10 million hearts FREE. To do that, we need help. That’s why we offer facilitator training and certification in Transfomology®’s breakthrough transformation tools, Creatrix® (for women) and Innovatrix® (for men) as well as short courses for the general public. Already, several thousands of people’s lives have been transformed by more than 200 facilitators in 9 different countries. Let’s set 10 million hearts free together. Join the movement. Many of the world’s greatest innovations arise from someone inventing a solution to a crippling problem. The birth of Transformology® and Global Transformatrix® is another example of that. The philosophy of Transformology® was pioneered by Marilyn Schirmer (best known as ‘Maz’). Maz’s early life was filled with childhood sexual abuse, multiple rapes by multiple men, domestic violence, poverty, 4 generations of being tortured at gunpoint. Not only that, at one point she was also In hiding, running for her life with four young children in tow. Yet today, Maz’s life is more like a fairy tale. At the age of 30, Maz had a miraculous wake-up call in the form of an epileptic fit. In that moment, her whole life flashed before her and her world has never been the same since. Maz became an avid student of personal development. Yet she noticed that none of the goal setting and personal development techniques taught by male self-help gurus worked for her. In fact, she found that it didn’t work for 4 in 5 women? Not long after, Maz founded the Institute of Women International™ to empower & equip women who are passionate about empowering others. 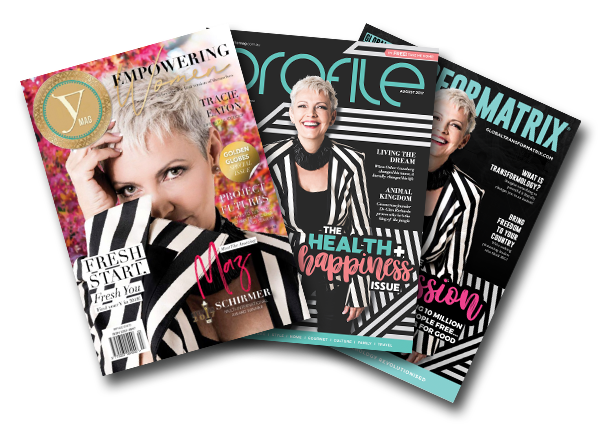 Maz had spent years developing her signature womens-only process Creatrix® to strip out mental blocks around success, confidence and money and needed a way to spread it across the globe. Courses at the IOWI teach women to create a fulfilling life so they can help other women do the same. Creatrix® is a process unlike any other on the planet as it is developed EXCLUSIVELY for females and the way their minds are wired. From here, Maz went on to develop Innovatrix®, the male equivalent of the process. 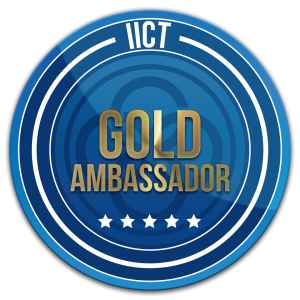 Global Transformatrix® was born as the governing body for the Institute and its teachings. 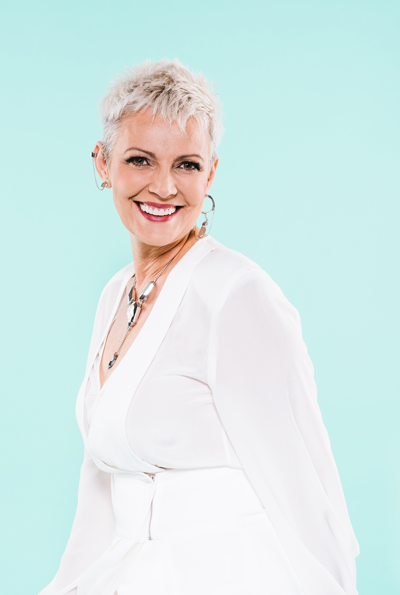 The Rise Above It Movement was launched by Marilyn Schirmer in 2018 to educate people to take care of their own mental and emotional needs. The aim of the movement is to create awareness and educate people with personal growth strategies – beginning in schools through to pre-puberty and adults of all ages. To launch the movement, Maz released the book ‘I’m Not OK… W.T.F. do I do Now?’ in time for I’m Not OK Day. 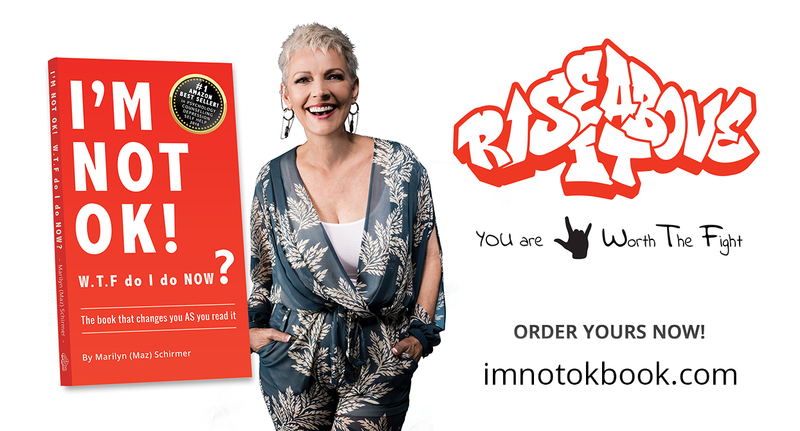 This Amazon best-selling book is jam-packed full of resources, tools and testimonies for everyday people to help themselves when they are ‘not OK.’ Check it out at imnotokbook.com and be sure to grab a few extra copies for friends in need!